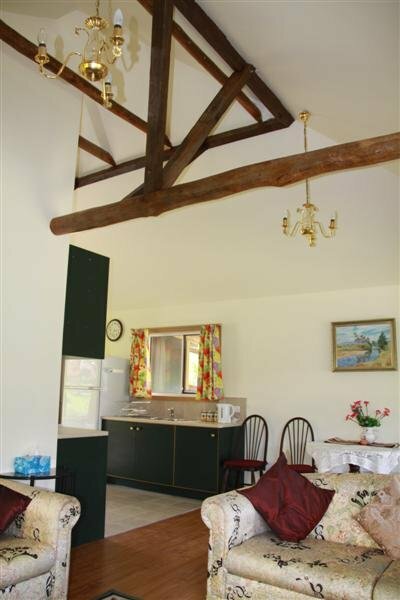 The Dairy is a charming 2 bedroom cottage, suits small families or romantic couples. Features include a magnificent views, spacious bathroom, complete with spa bath, a screened-in verandah where you can sit and enjoy the majestic scenery all year round, or laze in recliners in the living area. 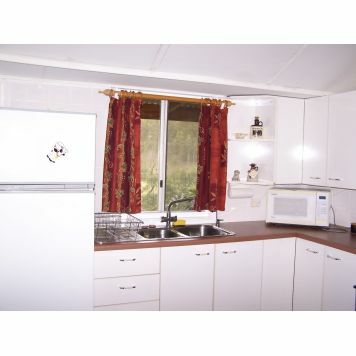 Air conditioned in the lounge & master bedroom, and a slow combustion (wood) heater and a ceiling fan in the lounge room. Quaint, comfortable, homely. Country charm at its best. Best suits 2 - 4 people, pet friendly. CornShed Cottage is a quaint small one-bedroom cottage, originally built 1840s, now freshly renovated yet retaining historic slab exterior & original exposed internal beams. Large glass windows lead to views & screened-in verandah where you can sit in comfort & enjoy the great views all year round (hooded gas BBQ on verandah). Air conditioned in the lounge room. The Dairy is a charming 2 bedroom cottage, suits small families or romantic couples. 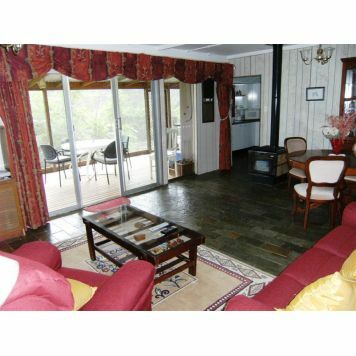 Features include magnificent views, spacious bathroom complete with spa bath, a screened-in verandah where you can sit and enjoy the majestic scenery all year round, or laze in recliners in the living area. 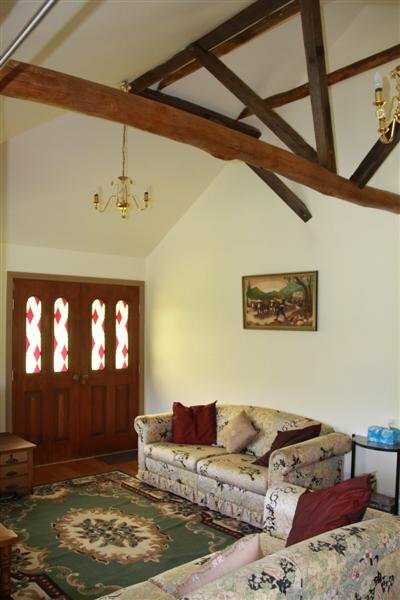 Air conditioned in the lounge & master bedroom, and a slow combustion (wood) heater and a ceiling fan in the lounge room. Quaint, comfortable, homely. Easy parking next to the cottages. A wide variety of bushwalking is available at Apptrak -follow wide trails or follow small tracks. 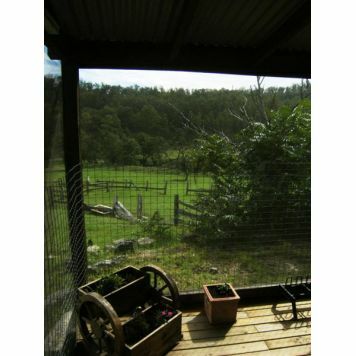 Natural flora & fauna include rugged terrain, open pastures, small rainforests, bush orchids, lillipilli, caves & Wollombi Brook. 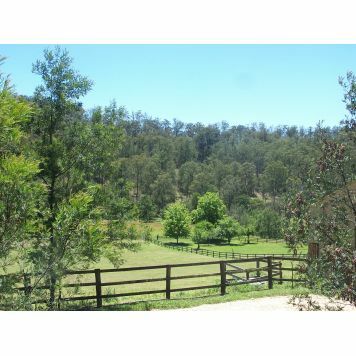 Situated on a 200 acre active horse stud, at the entrance to the Wollombi Valley, just a few kms to Laguna & Wollombi, quaint, small, historic villages with wineries, lavender farms, cafes, museum, arts & crafts, the Old Northern Trading Post & Wollombi Tavern providing the local points of interest while peace, comfort & relaxation awaits back at Apptrak Stud.